You'll find another.' God! Banish the thought. Why don't you tell me that 'if the girl had been worth having she'd have waited for you'? No, sir, the girl really worth having won't wait for anybody. Never walk near the bed; to a ghost your ankle is your most vulnerable part-once in bed, you're safe; he may lie around under the bed all night, but you're safe as daylight. If you still have doubts pull the blanket over your head. I guess I'm the Black Death,' he said slowly. 'I don't seem to bring people happiness any more. 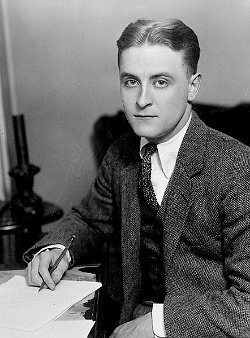 Bio: Francis Scott Key Fitzgerald, known professionally as F. Scott Fitzgerald, was an American novelist and short story writer, whose works illustrate the Jazz Age. He is widely regarded as one of the greatest American writers of the 20th century.